I love The body Shops products. So I thought I’d do a couple of reviews on them. In this post I will list the products I have. Anyhow If there’s anything special you want me doing a review on, leave a comment. Or else I’ll Just do the one I feel like for the moment. I love doing different nails designs, sadly I’m almost only comfortable in a french manicure. With maybe some small art on in silver or something. 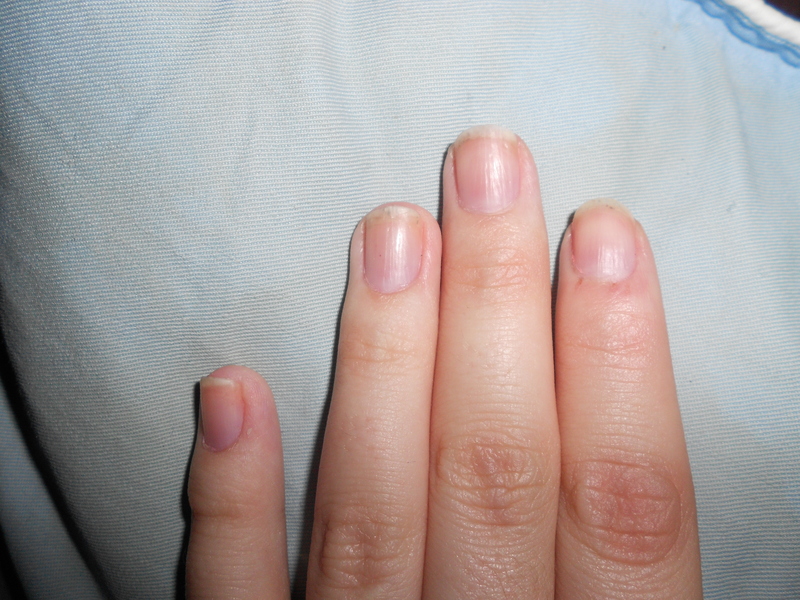 Here’s just a normal french manicure. 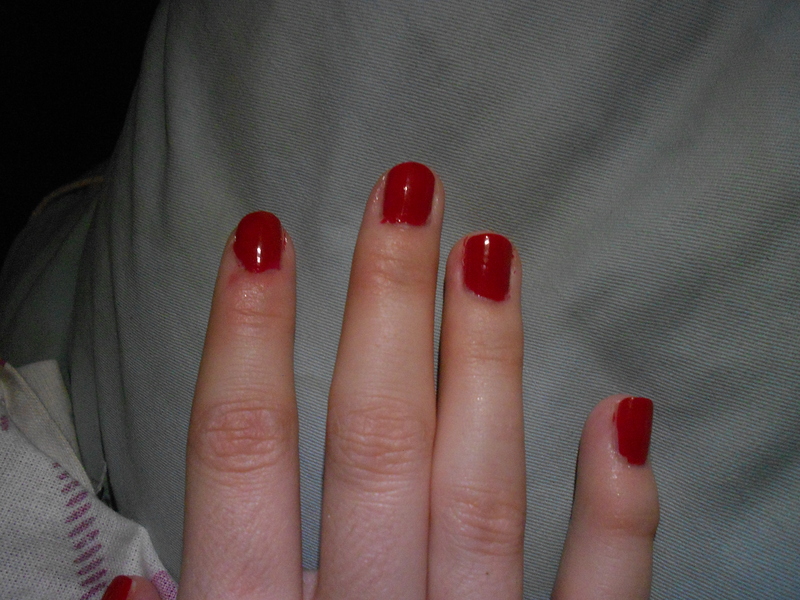 My fingers are shining because of my nail oil. I was thinking of doing a silver line between the pink and white, but desided not to. 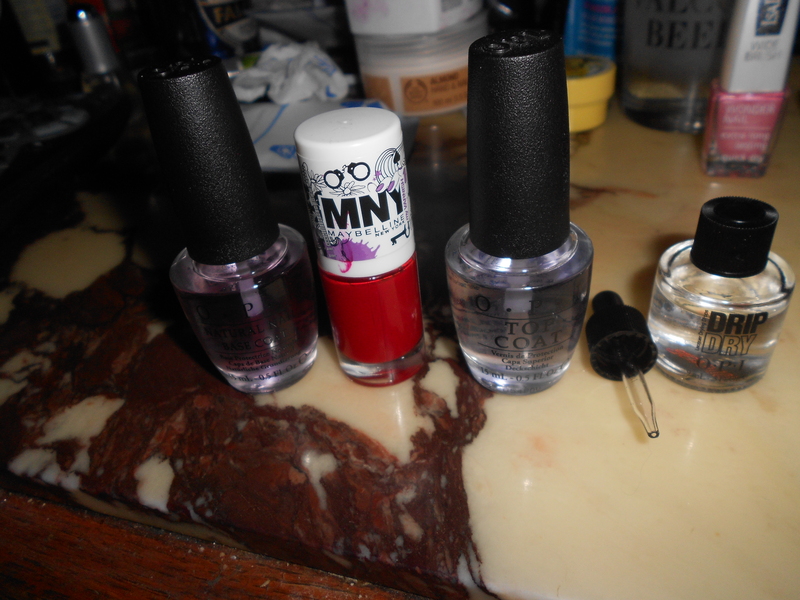 I only have a Depend silver polish, and i really don’t like that Nail polish brand. Sorry I haven’t blogged in a coupple of days. I haven’t really had time/felt good and I also have zero inspiration right now. If anyone have a tip or something to what you want to see here it would be awesome if you could give me a comment and some inspiration. 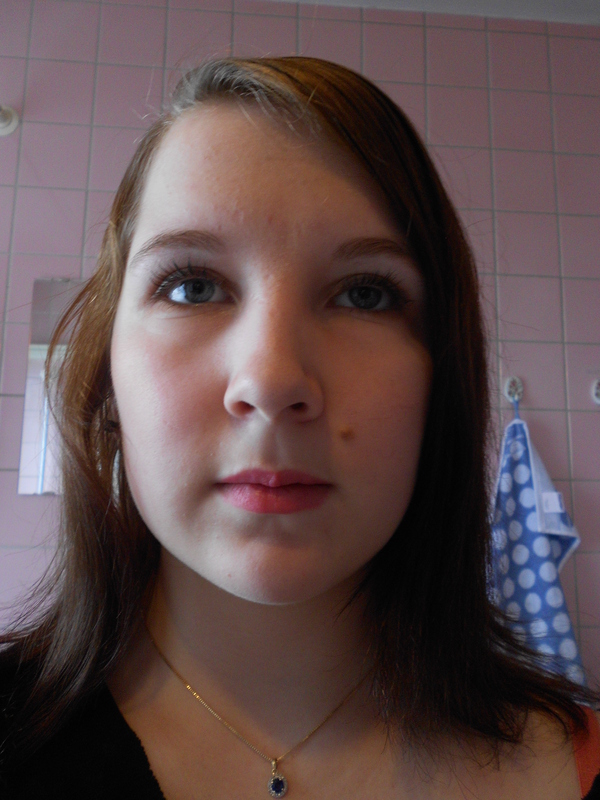 Today I made a simple look with brown shadows and pink lips. 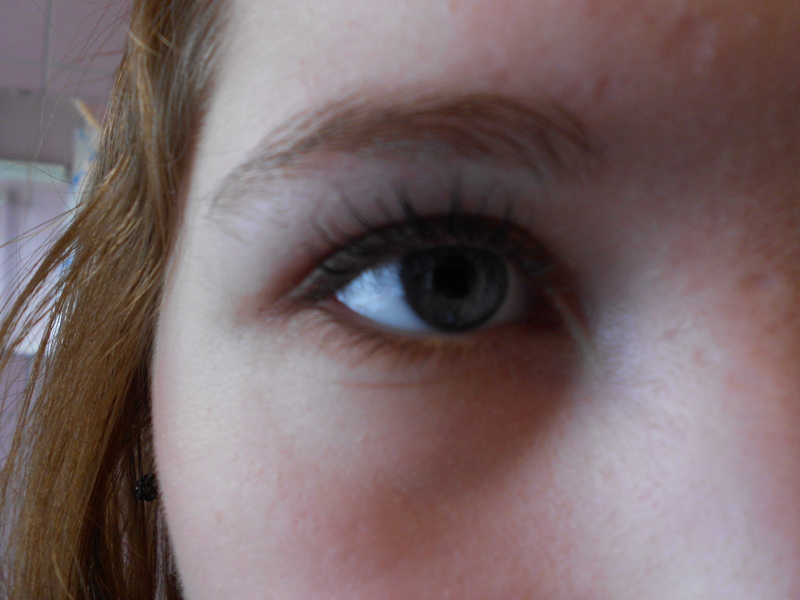 I used a light beige and a brown shadow on the eyes and finished with a brown liner and black mascara. The lipstick I’m wearing is Smashbox Electric Pink. It’s a matte pretty strong color, so I just slightly dabbed it on my lips. I also got an appointment at a hairdresser, I’m going there at 11 on monday. I’m going to cut and color, the tips will still be a little darker, but I wanted to avoid bleaching. Sonce I’m coloring at the hairdresser I don’t know if I can try the healing oil treatment in the color, I might bring it and ask, but I don’t know. Feels like it’s kind of rude. I might have let this slide IF it was one of the students who had said this. But the one who gave me this attitude and told me to cut all my hair of was one of the teachers at that place. So I just left and now I’m looking for a new hairdresser. You do not treat a customer like that! So tomorrow my mom is taking me to a woman that she’s been to that apparantly is very good. I don’t know if I will cut, cut and color or just cut and bleach and then do the coloring at home, I want a lighter hue than I have now so I’m going to have to bleach anyway And right know my hair has three different colors, dark-lighter brown-my natural color. And I don’t like it. 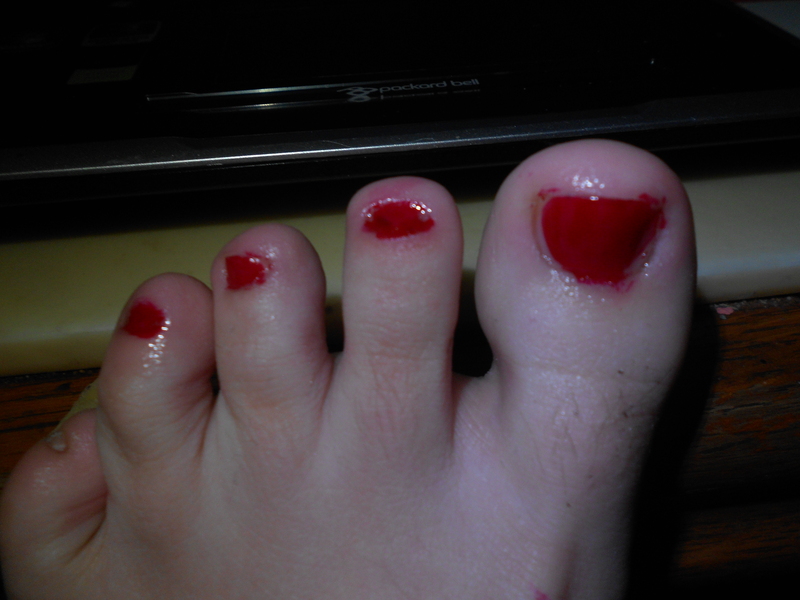 Today I decided to give myself a small manicure and pedicure today. So here’s what I did and some pictures. I usually do a larger routine than this. But I’m out of some of my products and just wanted to pamper myself without to much work. 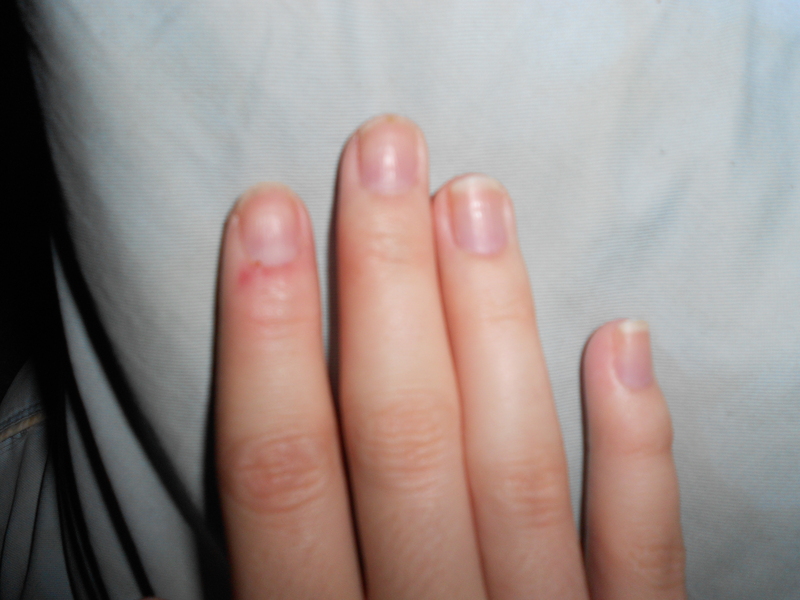 Here are some pictures of my nails on both hands and feet before I painted them. 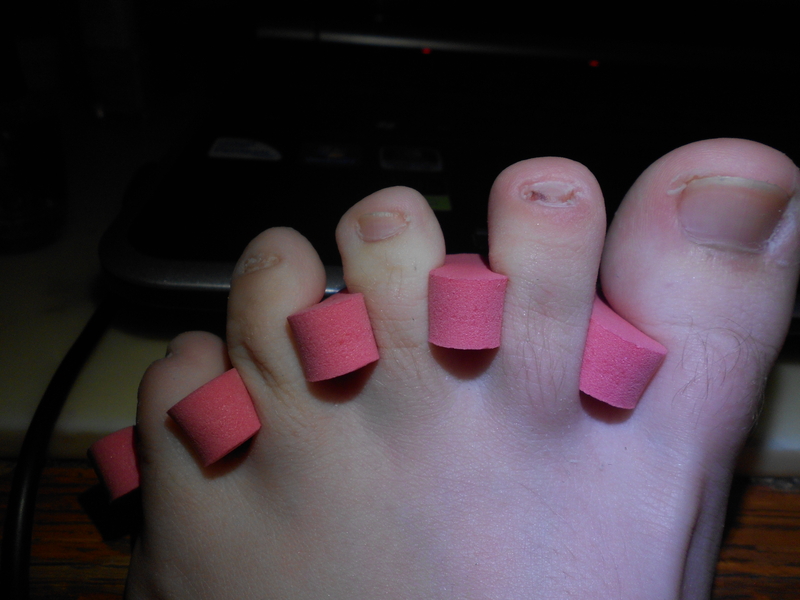 The nails on my feet are weird. 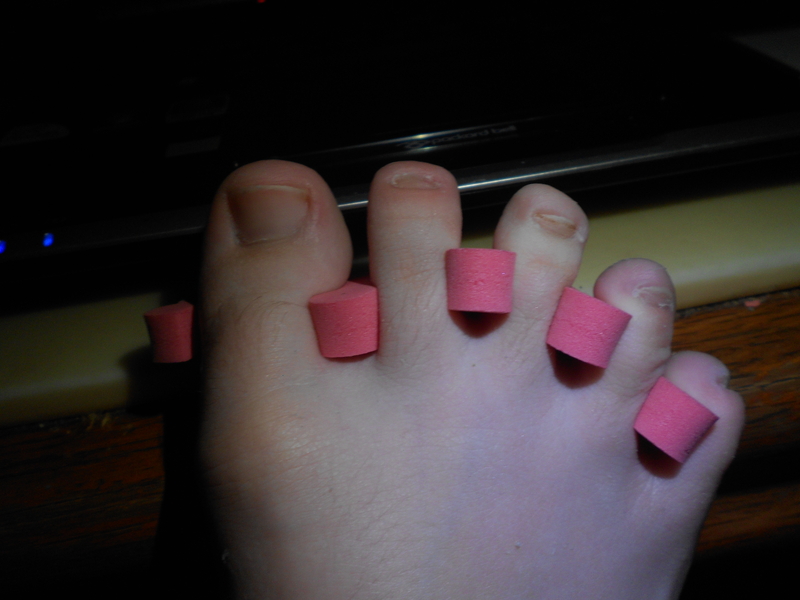 I have no nails what so ever on my pinky-toes and the nails on all the toes except the great toe/hallux/big toe/Ihavenoideawhatthistoeiscalledinenglish tend to fall of very easily. Thats why they look weird. Here are the products/tools that I used. 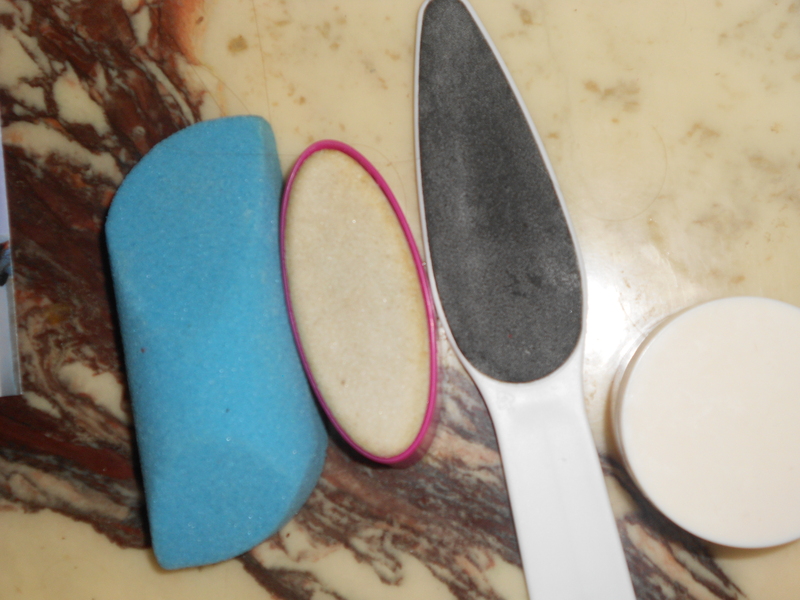 So first I just soaked my feet for about 5 minutes then I smoothed the skin ith a file, a pumicestone and the blue thing which is a foot smoother from body shop. The jar contains a scrub. 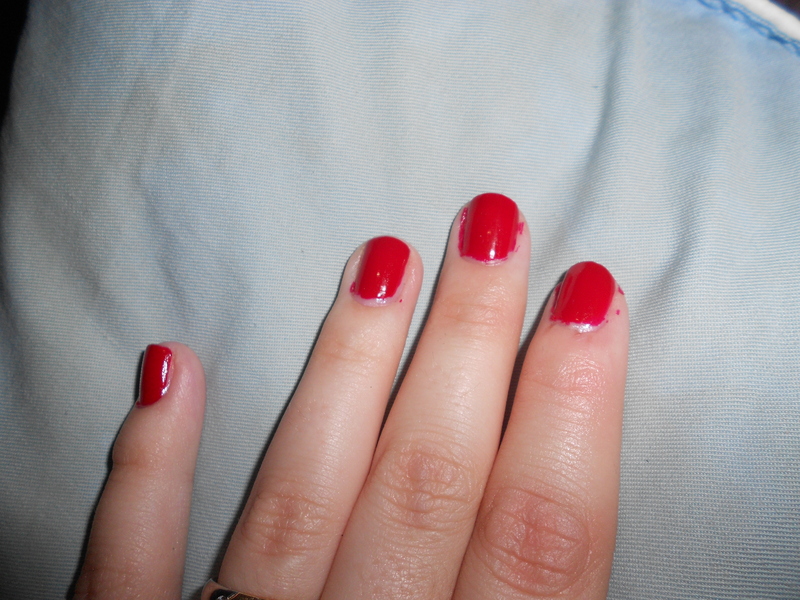 When I paint my fingernails I’m most comfortable in a French Manicure or a copper polish I really like. But red works to, and if it’s for something special I can paint them to mach what I’m wearing. 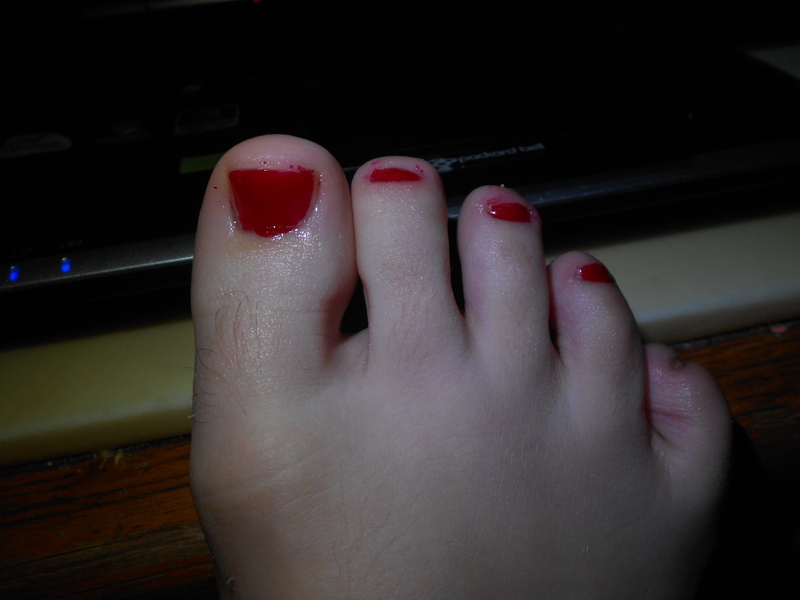 However I never paint my toenails, this is the second time I’ve ever done that. Usually I don’t have so much nail to polish. But I also have a slight back problem which makes fixing my feet and toes something like a living hell for me. crouching my back like that isn’t good at all for me. But sometimes I do it anyway.